Concentration, attention, recall, motivation, perception… the brain’s functions are as numerous as they are complex. As the body’s control centre, the brain coordinates and regulates all its activities. As such, it uses a huge amount of energy and requires significant levels of nutrients. Ensuring good cerebral nutrition is therefore essential for the health and wellbeing of the brain – particularly so as various factors like stress, overwork and ageing can all compromise brain function. 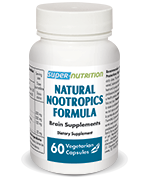 In such cases, nutritional supplementation can help maintain or boost cognitive performance. 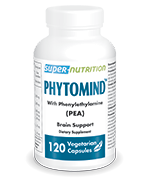 Why not discover our wide range of dietary supplements for supporting memory, learning, concentration and attention.